The idea that prehistoric, megalith‐building communities used cylindrical, wooden rollers to transport enormous stones – the ‘roller hypothesis’ – is ubiquitous within archaeological literature and public discourse on megalithic architecture. The likelihood that such devices were actually used to transport megaliths during prehistory remains highly questionable, yet the roller hypothesis has now dominated discussions of the subject for some 400 years. At its heart lies the assertion that fewer people were needed to transport large stones with rollers than without them. A review of experimental and ethnographic studies of megalith transport casts doubt on this central claim and suggests that simpler, better‐attested and more reliable methods were probably used. So when and why did the roller hypothesis become so popular? The historiography of the idea reveals how its advocates succeeded in rationalizing it within wider, paradigmatic beliefs about their contemporary worlds and the deep past. The roller hypothesis is bound up in outmoded, even jingoistic perspectives of megalithic construction and the evolution of technology. To advance our understanding of megalithic construction a more critical stance is herein advocated. One of the earliest issues of Antiquity carried a debate on whether wooden rollers were used to transport the c.30 tonne capstone of the Grand Dolmen de Bagneux in Saumur, France. One contributor doubted that its builders were capable of producing sufficiently cylindrical devices (Somerville 1928, 158), whilst the other maintained that rollers were simple to make and perfectly suitable for the job (T. H. Clarke 1928). As shown below, it is unlikely that such devices were actually used to transport megaliths during prehistory yet archaeologists have argued that they were for some 400 years. The ‘roller hypothesis’ is probably one of archaeology's longest‐held beliefs and at its heart lies the assertion that fewer people were needed to transport large stones with rollers than without them (Parry 2000, 184). This alleged benefit has proved highly persuasive: rollers regularly appear in historical accounts of the development of technology (Rao 2011, 1–2) and children's educational resources on prehistory (Manning 2013). 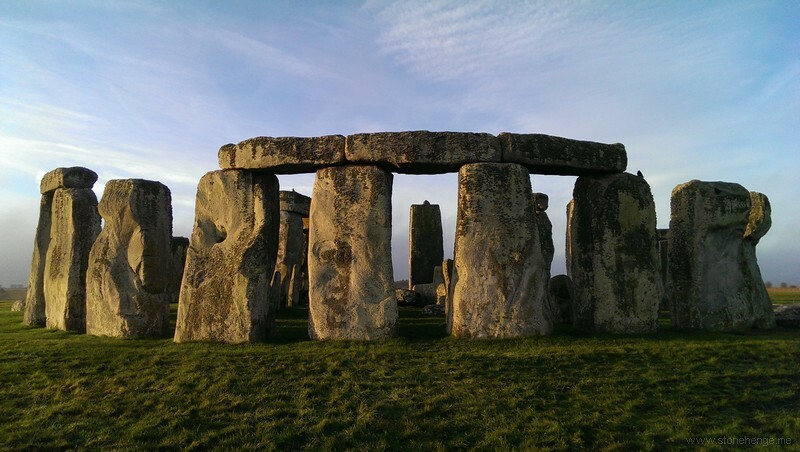 They are enshrined at both the Stonehenge and Newgrange visitor centres, where life‐sized, fibreglass reconstructions of stones set upon timber rollers are viewed by over a million visitors annually. They are also found illustrated on interpretation boards at megalithic sites throughout north‐western Europe, demonstrated in miniature model form (Breton 2000) and regularly feature in popular television programmes about prehistory (Fig. 1). Archaeologists have linked rollers with the moai of Easter Island, the giant stelae of Aksum, Ethiopia (Poissonnier 2012, 73), and, of course, Stonehenge (Atkinson 1956, 109). The roller hypothesis remains one of archaeology's most widely consumed concepts, probably because it addresses a complex and popular question in a simplistic, accessible manner. Yet experiments have shown the technique to be highly impractical (Osenton 2001, 295; Van Tilburg and Ralston 2005, 295), of little benefit in terms of efficiency (Atkinson 1956, 109), or downright dangerous (Van Tilburg 1995, 36). Ethnographic studies have also demonstrated that contemporary megalith‐building societies do not use loose, rotating rollers in the way envisaged by advocates of the hypothesis. This paper examines the intriguing genesis of the roller hypothesis and its remarkable persistence within archaeological thought over some four centuries. On 18th September 1586, the Renaissance architect Domenico Fontana completed a four‐and‐a‐half month operation to re‐erect a 327‐tonne ancient Egyptian obelisk in Rome. He was working at the behest of Pope Sixtus V, who had requested that the monolith should be moved nearer to the Vatican. A millennium and a half earlier, the Roman emperor Caligula had sailed the obelisk to Italy from Egypt and erected it at the nearby Circus of Caligula (Wirsching 2000). The method Fontana used to transport the obelisk involved lowering it until it was in contact with seven wooden plinths distributed along two long, wooden sledges. These sledges were balanced on approximately 30 loose wooden rollers (Fig. 2). Using numerous winches and capstans, a team of 907 men and 75 horses then hauled the obelisk along an artificial track, composed of revetted, rammed earth (Brier 2013, 38). The undertaking was ambitious and its successful execution was both an important scientific accomplishment and a symbolically triumphant act of the Counter‐Reformation (Hall 2005, 282). Fontana recorded the operation in detail and published it several years later (Fontana 1590). A booming Italian printing industry circulated news of Fontana's accomplishment throughout Europe. ‘… the Leaver, Roller, Wheel, Pulley, Wedge, and Screw, which are fundamental Faculties of Mechaniques, it being scarce conceivable, how otherwise they should raise such portentous Monuments, as they did’ (Charleton 1663, 61). Charleton's fleeting mention of rollers is the earliest known such reference. Some 60 years later, the German antiquarian Cohausen also proposed that the hunebedden, or ‘giants’ graves’, of north‐western Europe had probably been built using similar means (Bakker 2009a, 12). He stated that the more robust men of antiquity had gathered large boulders together using ‘sticks and rollers’ and claimed – somewhat bizarrely – that they had probably used their own arms to lever the giant monoliths into place (Bakker 2009b, 56). This, and other contemporary superstitious ideas (e.g. Picardt 1660), derived from the latent belief that prehistoric monuments had been created through supernatural agency, an idea rooted in the ancient folkloric traditions of north‐western Europe (Darvill 2007, 36). It is against this deeper historical context that Charleton's first reference to rollers and megalithic monuments should be considered. His ideas about the use of rollers set out the construction of megalithic monuments in a vein compatible with seventeenth‐century English probabilism. The embryonic roller hypothesis thus formed part of a broader shift in constructing rational, humanist histories based on material remains, a process that had begun over a century earlier with Flavio Biondo's (1510) dispassionate description of Rome's ancient ruins. Following Charleton and Cohausen European antiquarians made little reference to rollers until the early nineteenth century. Over this time they had become interested less in how megaliths were built and more concerned with establishing the ethnicity of the groups that had built them (though see Fig. 3). Sherratt (1996, 142) suggested that this focus on identity, or preoccupation with the ‘peopling of world’, was part of a wider romantic shift in intellectual thought that swept across western Europe in tandem with the Reformation. It was not until the middle of the nineteenth century that a concerted interest in the methods of megalith construction was revived, a shift that broadly reflected the move towards a positivist, analytical mode of European thought (Sherratt 1996). As Bakker (2009b, 56) has noted, antiquarians now generally favoured more rational, deductive accounts of megalith building and it is within this context that the fully fledged roller hypothesis was developed. The earliest account of the roller hypothesis proper appeared in continental Europe during the early nineteenth century. Janssen (cited in Bakker 2009b, 135–6) proposed that the Dutch hunebedden were built by placing boulders on rollers fashioned from tree trunks. These boulders were then pushed into place from behind or pulled from the front using a rope (Bakker 2009a, 16–17). Several years later, Frederick VII produced a very similar study of the Danish hunebedden. His publication contains the earliest known depiction of the roller hypothesis (Fig. 4). Soon after, rollers and alternative modes of megalith transport appeared in numerous diagrams theorizing the construction of Stonehenge and other megalithic sites (e.g. Chippindale 2012, 127). Frederick VI's method of raising capstones and probably one of the earliest depictions of the roller hypothesis (after Frederick 1857, 13–14). © Public Domain. ‘When king Saul [ …] wished for an altar to be erected [ …] he said, “Roll me a great stone.” Moreover […] the second temple, was built by “stones of rolling” (Ezra, v. 8.) for such is the expression, which shews that that great building […] was erected by the aid of rollers.’ (Weaver 1840, 133–4). ‘[ …] the stones [ …] might be placed upon rollers; that a causeway might be prepared upon which the rollers might run […] we may conceive how not only the stones of Solomon's temple […] might be conveyed &c. but also the stones which formed the building at Stonehenge.’ (Weaver 1840, 139–40). Today, Weaver's (1840) work remains largely ignored by academics but at the time it was reviewed by one of the world's first popular magazines, The Gentleman's Magazine (1840, 279). The reviewer praised Weaver for recognizing the Bible as an ‘authentic source, even for secular history’, and accepted that rollers were probably used to build Stonehenge. Weaver's work popularized the roller hypothesis and explicitly linked rollers with the Bible, a connection that would later be reinforced by Austen Henry Layard. Wood cut of slab 47 from Nineveh, showing transport of the winged‐bull statue (Layard1849). © Public Domain. Layard's findings were hugely popular and stories of his exploits – along with his assertions regarding rollers – were broadcast to an unusually wide audience. Fraser's Magazinereported that simply ‘everybody read and talked of Layard’ (cited in Larsen 2009, 67). The exposure ensured that the roller hypothesis became firmly ingrained in public consciousness. Yet there are problems with Layard's identification of ‘rollers’. First, as Davison (1961, 12) has shown, the lengths of wood depicted on the original stelae are, in fact, roughly trimmed tree branches with still visible stubs where smaller branches had been incompletely removed (Fig. 6). Such protrusions would, of course, have seriously inhibited their use as freely rotating rollers. Another problem is their orientation. Even in Layard's published drawings (Fig. 5), numerous lengths can be seen lying parallel to the direction in which the sledge is being pulled. Why did Layard so confidently declare that rollers were depicted on the stelae, an observation that critically influenced the widespread acceptance of the hypothesis? Perhaps it was a simple mistake but it should also be remembered that Layard was writing at a time when the canonical authority of the British establishment was being eroded by emerging scientific institutions. Evidence that boosted the historical veracity of Bible therefore had wider currency and political resonance. Although it is not clear whether Layard was aware of Weaver's earlier works, he certainly cited the Bible generously throughout his own publications and may well have wanted to further emphasize the biblical significance of his work by preserving Weaver's earlier link between rollers and Christianity. Alternatively, it should also be remembered that Layard had himself hauled a winged‐bull statue over rollers when he removed it from Nineveh. Using rollers balanced on longitudinal timber rails, his team successfully dragged the statue some 200 ft along a flat, pre‐excavated track, before loading it onto a cart. Indeed, Layard could not resist suggesting that his own methods were comparable to the Assyrians’, in spite of the differences evident from the carved stelae (1853, 114). The roller hypothesis received a further boost from the late nineteenth century onwards when European archaeologists argued that log rollers represented a ‘missing link’ in the evolution of locomotive technology. The roller, it was said, was the natural technological descendant of the sledge from which the wheel had surely evolved (Davison 1961, 11). Civilizations that knew the wheel must, therefore, have known the roller, and their evident reluctance to employ it when moving heavy objects confounded archaeologists. Clark and Engelbach's (1930, 90) response to an Egyptian painting from the twenty‐first‐dynasty tomb at Deir el‐Bersha (Fig. 7) is a case in point (Fig. 7). They described the transport of a colossal statue by 172 workers without rollers as ‘subhuman in intellect’. Their confusion rested principally on the uncritical assumption that rollers were self‐evidently the best way to move heavy objects without sophisticated machinery. It was not until the twentieth century that experimental archaeologists, naturally keen to test the hypothesis that they were so familiar with, began to interrogate this assumption by working with rollers in a variety of experimental conditions (e.g. Poissonnier 1998; Love 1990; Mohen 1980; Osenton 2001; Van Tilburg and Ralston 2005; Atkinson 1956). Wall painting from Egyptian tomb at Deir el‐Bersha showing transport of statue on sledge (Wilkinson and Birch 1878). © Public Domain. In all but a few cases, experimenters reported that they had successfully used rollers to move loads weighing above two tonnes over short distances (between 100 and 800 metres). Tellingly, however, they encountered numerous problems navigating uneven ground. Atkinson (1956, 109) noted that the sledge carrying his replica Stonehenge bluestone slewed dangerously to one side when his team attempted to drag it obliquely uphill on rollers. He attached manned anchoring ropes to either side of the sledge, a change that nearly totally negated the ‘efficiency savings’ that rollers supposedly offered. The instability caused by rollers proved disastrous for Love (1990), whose attempt to move a replica upright moairesulted in the statue tumbling over and breaking (Van Tilburg 1995, 36). Also moving a replica moai, Van Tilburg and Ralston (2005, 293) reported that differences in the circumferences of their rollers caused them to jam and to wander into one another. Osenton (2001, 295) experienced similar problems whilst moving a natural 10‐tonne bluestone slab over rollers. He found that mounting it on a four‐metre‐long sledge helped but subsequently was unable to prevent the laden sledge from rolling back down even moderately steep hills. Jean‐Pierre Mohen's (1980) experiments in Bougon involved 200 people dragging a 32‐tonne concrete block directly over rollers themselves balanced on wooden rails (Fig. 8). Whilst this feat was undoubtedly impressive, his team dared not drag the stone over even slightly uneven ground. Hauling a c.32‐tonne stone over giant rollers on rails (Mohen 1980, 63). Photo Credit: J. P. Mohen. © Éditions Faton/J. P. Mohen (Reproduced by permission of Éditions Faton). Ultimately, the twentieth‐century stone‐moving experiments demonstrated the limitations of rollers and illuminated Charleton's error, some 400 years earlier, in assuming that Fontana's roller system would work in conditions closer to those likely to have been experienced by prehistoric megalith builders. Fontana's successful use of rollers was principally enabled by the firm, even track of rammed earth that he had constructed, a luxury afforded by the comparatively short distance – some 250 yards – that he was required to move the obelisk. In contrast, the builders of megalithic monuments regularly had to extricate enormous monoliths from inaccessible quarries and transport them much further, often over very uneven terrain (Parker Pearson et al. 2015; Darvill and Wainwright 2014; Kalb 1996; Ogburn 2004). Those responsible for building Stonehenge, for example, needed to transport about 80 sarsen stones some 20 miles over rolling downland from their probable source on the Marlborough Downs (Parker Pearson 2016). Towards the end of the twentieth century, growing theoretical awareness of the socially grounded nature of technology further highlighted the dangers of projecting recent, ‘cost‐effective’ approaches to megalith transport into the distant past. Pfaffenberger (1992, 497) argued that the adoption of different forms of technology was contingent on ‘fabulously complex and variable social arrangements’ rather than on a society's level of progression along a pre‐determined, unilinear scale of technological evolution. Perspectives on the nature of megalith‐building shifted too; as Dobres (2001) remarked, perhaps the ‘meaning was in the making’. In this respect, Richards (2013, 5–6) has questioned whether the minimization of labour – the roller hypothesis’ raison d’être – was a priority for megalith builders at all. Organizers of traditional megalith‐pulling ceremonies on the Indonesian island of Sumba, for example, often pitched for the involvement of as many individuals as possible as part of a competitive display of wealth (Hoskins 1986). Social context aside, ethnographically documented methods of megalith transport are probably more analogous to those used in prehistory than modern‐era European techniques (e.g. Fontana 1590), simply because the material conditions experienced are more likely to be comparable. In more mountainous regions, such as the Himalayas, groups lashed their megaliths to a timber lattice or litter (Fig. 9) and carried them (Lewis 1873; Dubois 1938; Hutton 1929). The vast majority of documented megalith‐building groups, however, transported large stones by securing them to timber sledges, which they then hauled across the ground. Whilst numerous accounts of such events do not mention rollers (Gurdon 1914, 155; Hutton 1922), Röder (1944, 85) reported that around 525 people on the island of Nias had used holzwalzen (wood rollers) to assist with the hauling of an enormous stone. Yet Schröder's (1917) photographs of this event show a track of closely spaced, differently sized logs laid across the path of the advancing sledge (Fig. 10). In several cases, there are vertical stakes driven in between these lengths, the presence of which would have prevented them from rolling. The transverse lengths of wood, in fact, acted as the ‘sleepers’ or cross‐pieces of a static slipway that prevented the runners of the advancing sledge from biting into the soft ground. Eriksen (2002, 69) has correctly identified a similar slipway on another early twentieth‐century photograph from the nearby island of Sumba. Sketch of a tree trunk and bamboo ‘litter’ used to move large stones in northern India (Lewis 1873, 185). © Public Domain. In the case of the photographs from Nias, then, it is likely that a pre‐existing acceptance of the roller hypothesis led to the misidentification of individual slipway sleepers as rollers by Röder (1944, 85). In his recent descriptions of megalith transport on Sumba, Adams (pers. comm.) has confirmed that he too has used the term ‘roller’ as accessible shorthand for the non‐, or incidentally‐rotating individual branches of similar timber slipways. The propensity for ethnographers to use the term ‘roller’ in a non‐literal sense may also account for its appearance within some nineteenth‐century ethnographic accounts of megalith transportation around Assam (Dewar 1966, 267; C. B. Clarke 1874, 490; Woodthorpe 1882, 65). In all these cases, the so‐called ‘rollers’ actually probably formed static slipways. Though this method has received considerably less attention than the roller‐hypothesis, more recent experiments (Harris 2017; SagnlandetLejre 2003) have complemented the ethnographic evidence demonstrating the efficacy of timber slipways. Others have shown how slipways composed of longitudinal lengths of timber are equally as effective if the sledge runners are fixed transversely (Eriksen 2002, 77 fig. 9; Van Tilburg and Ralston 2005). Following their well‐documented deployment by Fontana some 400 years ago, generations of antiquarians and archaeologists have argued for the probable use of rollers to transport megaliths in prehistory, despite an almost total absence of any hard evidence (though see Arnold 1991, 279–80; Carré 1963). Throughout this time, the continued appeal of the roller hypothesis lay in its malleability, or its capacity to be continually ‘reinvented’ and given wider currency within shifting scientific paradigms and attitudes to both the present and the past. Charleton first linked rollers with Stonehenge in the late seventeenth century and by the early nineteenth century, European antiquarians had developed his innocuous reference into the roller hypothesis proper, thereby wresting the construction of megalithic monuments from the domain of the supernatural and humanizing their aetiology. Around the same time, Weaver attempted to underscore the importance of the Bible by arguing that rollers were referred to in the Old Testament, whilst Layard – keen to highlight the Biblical connotations of his own findings – famously depicted their apparent use by the Assyrians. In the early twentieth century, Darwinian archaeologists viewed the roller as but one stage of humanity's universal advancement towards the wheel, a notion that still persists today. During the twentieth century, a significant number of experiments demonstrated the unsuitability of rollers for moving heavy loads over long distances, a fact borne out by their conspicuous absence from past and contemporaneous ethnographic accounts of megalith transport. Regardless, rollers have become a powerful and ethnocentric trope for the relative sophistication of ancient cultures who, much like modern European civil engineers, are assumed to have been keen to minimize the costs of labour. Social anthropologists and archaeologists have refuted this latter assumption but the false dichotomy between intelligent, roller‐using megalith builders and the presumed ‘savagery’ of groups that did not use them persists. This paper was developed from a presentation originally given at the Prehistoric Society Europa Conference at UCD, 2015. This research was supported by a grant from the London Arts and Humanities Partnership. I would like to thank Mike Parker Pearson for his comments on an earlier draft of the paper and Ron Adams for his descriptions of timber slipways on Sumba.